The use of Engine-Turning Lathe began sometime before the 1770s. During that time, this particular machine found application in the production of designs and decoration in stoneware and earthenware. Primarily, the widespread use of this equipment originated from England, where highly skilled potters used it for cutting exclusive patterns and creating unique designs on pots and stoneware. Well, the machine used to work on the principle mechanism of rotation. To put it in a comprehendible manner, pots used to rotate on it, eventually allowing the equipment to carve out specific embellishments. What potters achieved as the end-result was beautiful pots with stunning graphic designs. Moreover, these amazing designs were perfectly visible through the interplay of lights as well as contrasting colored slips. Since then, the engine-turning lathe has been the go-to tool for every ingenious potter. However, there have been substantial changes in its appearance and functioning over these years. 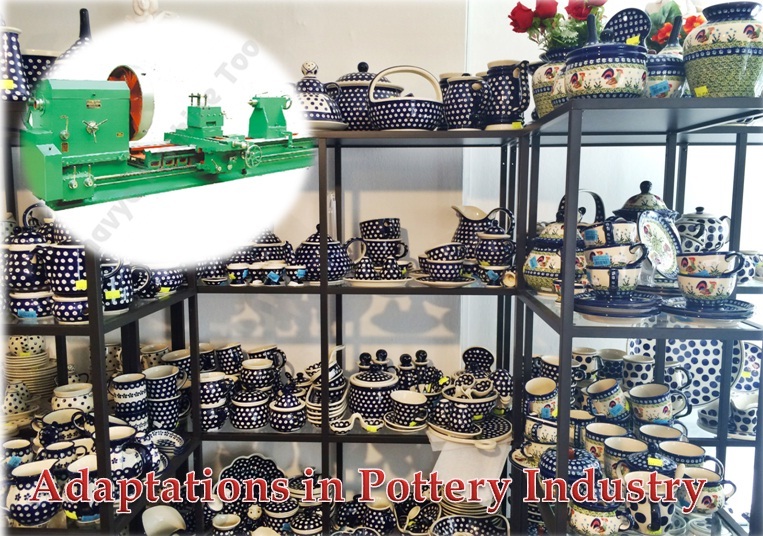 From its inception to the present times, this particular equipment has readily adapted to the changing trends in the pottery industry. Perhaps, it is impossible to trace its significance, adaptations and contributions to the pottery sector without delving deep into its past. If you really wish to know a lot about this tool, then you will surely find this article quite engaging. It will be judicious to begin with a brief history of the equipment. 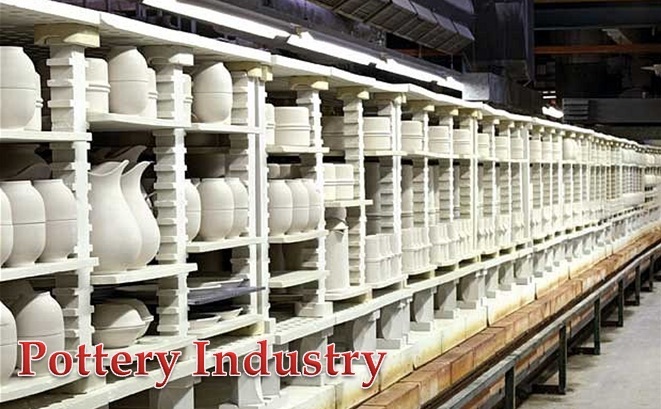 The idea of applying this machine in pottery began as early as 1763 in Birmingham. Josiah Wedgwood was the person who conceived this concept after an intriguing encounter with the machine, at a metal-working facility run by one of his friends. Later, this man differentiated the functioning of this tool in the woodworking and metalworking industries from its operations in the ceramic industry. At first, it was the simple-turning lathe machines, finding use in the creation of exquisite designs. The engine-turning ones were nowhere in the picture then. Slowly and steadily, the machine adapted to the emerging trends, rising demands, and advanced technology. And these factors came together to produce what is known today as the engine turned Lathe. Potters felt two significant benefits while operating with this device. Firstly, the machine had the capacity to lathe-turn hollow wares. As the outcome, the process of carving designs on the mugs, cups, jugs and bowls became quite easier than before. Secondly, the equipment was apt for cutting unique designs and regular patterns on even the clay items, thus creating decorative elements. It won’t be quite possible to understand the adaptations of this equipment, without a bit of information on the earlier models. Breeze through the following points for a pristine clear idea on the uses of the old engine-turning lathe. The classic model: Wedgwood developed the “rose and crown lathe”, where the rose and crown refers to the edge and end cam respectively. Simple versions of engine lathe were primarily manufactured with the edge cam. And that is the reason that bigger pottery projects demanded the rose and crown ones. Major components: Presently, every pottery project demands the newly constructed Lathe machine. The major components of the machine are the steel frame and the central axle, on which the end-cam, edge cam and mandrel are supposed to be mounted. Customized pattern generator: Mandrels, also popular as chums are customizable into various designs and forms. And that proves to be highly beneficial in generating diverse patterns. Another important aspect is the flexibility in operating the machine. Especially, the pulley placement enhances the flexibility of operations with the machine. The engine-turned lathe has come a long way from just being simple pattern-carving equipment to a highly advanced design-making tool. Today, every ingenious Potter makes perfect use of the machine for belting out some great pot designs. This entry was posted in Lathe Machine, Roll Turning Lathe Machine by Yash Shah. Bookmark the permalink.